‘Unit01’ TEQ63 Vinyl Release by Quiccs x Martian Toys! 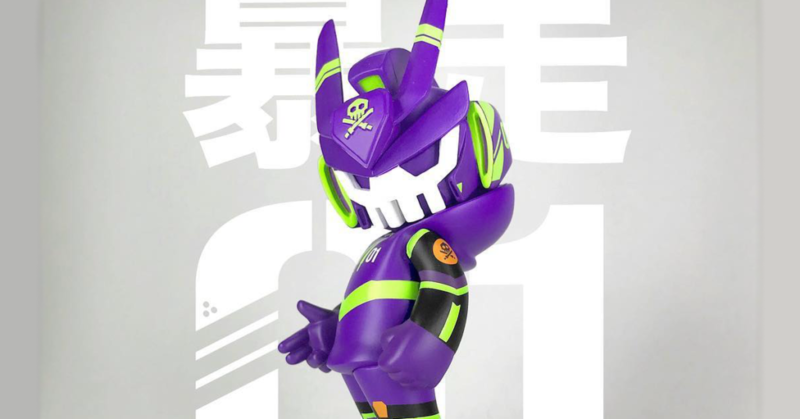 Incoming  The Unit01 TEQ63 DesignerCon 2018 exclusive colourway by Quiccs x Martian Toys is coming this week! Joining the Unit01 infantry, Quiccs & Martian Toys continue their successful partnership to get all the Quiccsbeasts happy! Available from the Mothership Art Gallery booth #2324 from Friday 16th in limited numbers. We didn’t catch the price of this release, but expect it to be around $70 we think. Standing at 6inches tall, this Unit01 TEQ63 is going to look great in your Quiccs collection. Absolutely. Don’t miss out. Grab your DCon tickets HERE.